What Are Some of the Most Common Causes of Tinnitus? We’ve talked about tinnitus in this blog, but not for a good while. The big question in our blog this time is: what are some of the most common causes of tinnitus? Hearing loss and loud, persistent ringing in your ears can both be annoying, frustrating, and detrimental to your overall health. If you think you might have tinnitus, it is important to get in touch with both your audiologist and your primary healthcare provider. Common Causes of Tinnitus are Actually Easy to Avoid! Too Much Time Spent in Loud Places: Whether for work or for fun, spending too much time in loud places can damage your hearing. Too much time blaring loud music can also have this effect. 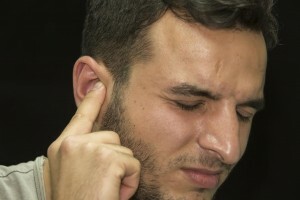 Tinnitus often follows on from these conditions because these are most often the most noticeable trigger for that telltale ringing in your ears. So if loud noise is obvious when it comes to the most common causes of tinnitus, what else might be? Did You Know About Smoking? Although the natural environment can’t affect your hearing or tinnitus, smoking can. How is is this possible? Because of nicotine, one of the primary ingredients in tobacco. If you’re a habitual smoker, try quitting that habit. For one thing, your health may improve in multiple other ways. And of course, it will symptoms of tinnitus too. Medications, Medicine, Other Drugs: Some medicines, such as aspirin, can potentially trigger tinnitus. Other medications, such as antibiotics and diuretics could trigger tinnitus as well, in a case of unfortunate side effects. Even certain food additives could cause it. If you’re unsure if something you ate caused it, see your audiologist. Hardening of the Middle Ear: Protecting your inner ear and your middle ear are both supremely important. Still, as we get older, our body undergoes changes we often can’t prevent or even control. The bones of the middle ear gradually harden, a process known as otosclerosis. Otosclerosis changes how the cochlea works and can garble input to the brain. An Excess of Earwax: Earwax, of all things, can contribute to tinnitus. Earwax can play all sorts of havoc with your ears besides that infernal ringing. So, you should take care to clean out your ears regularly or have a loved one take care of it for you. If they can’t, an audiologist can. As aggravating as it can be, earwax is actually good for you. It is, after all, supposed to clean your ears. But an excess of earwax causes painful impactions that can distort what you hear. This entry was posted on Friday, April 28th, 2017 at 7:39 am. Both comments and pings are currently closed.